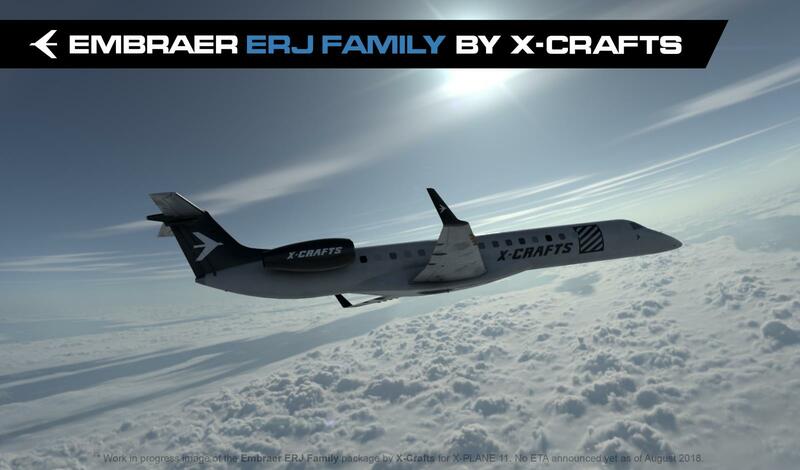 X-Crafts, known for their E-Jets products has unveiled a brand new airliner project, and what else could it be than another popular jet from Embraer! 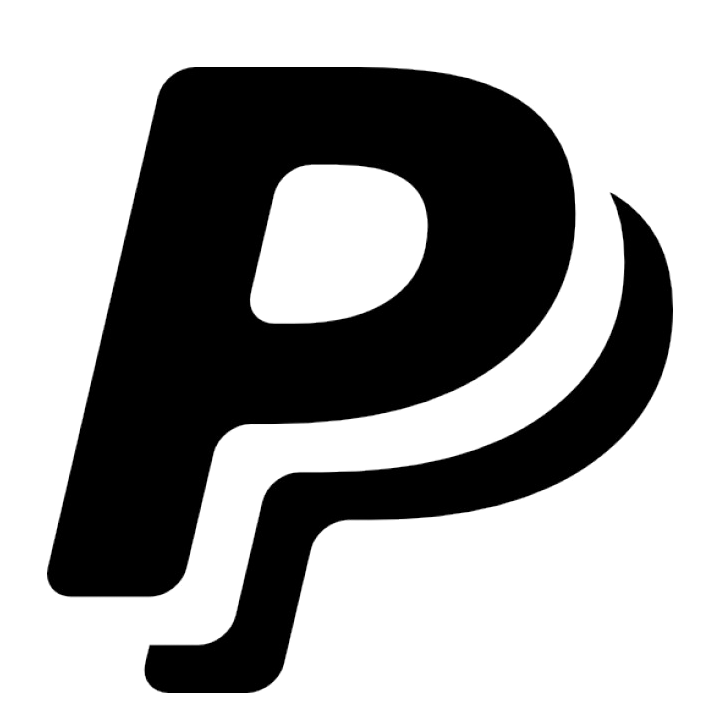 Many people have been wondering if the developer will expand beyond the E-Jets series. 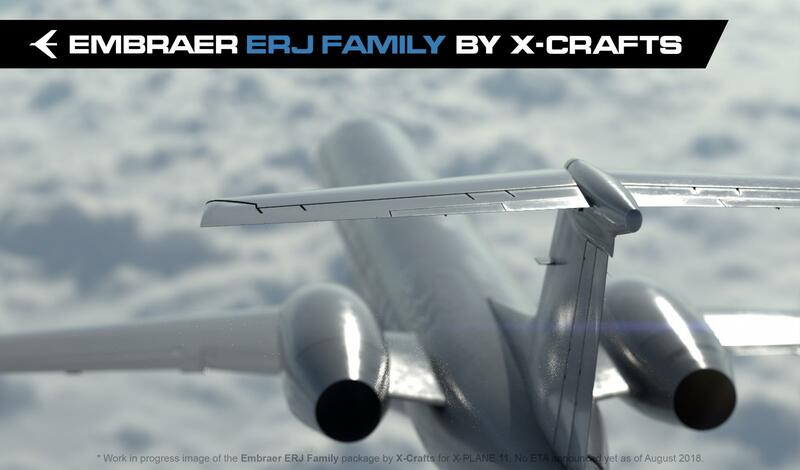 The developer will develop all three jets: E135, E140 and the E145, the E145XR will most likely be simulated as well. 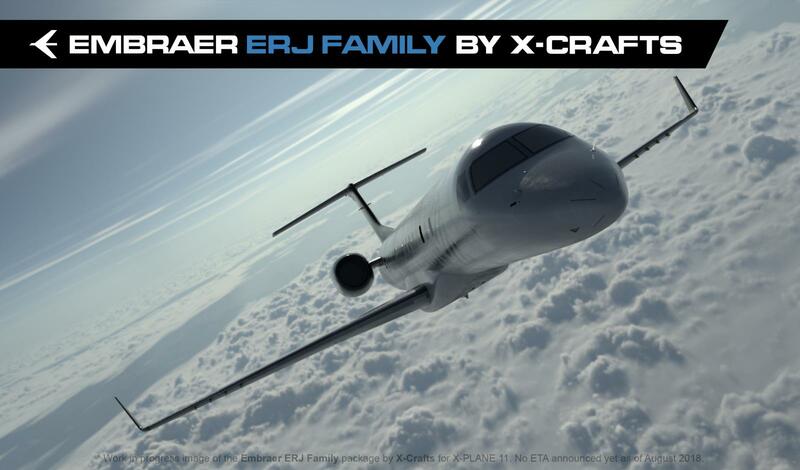 As with the existing product lineup of E-Jets, the ERJs will be at least as detailed as the E-Jets in terms of systems, avionics and plug-ins and it will feature a modified Tekton FMS - which is constantly improving with every new release. 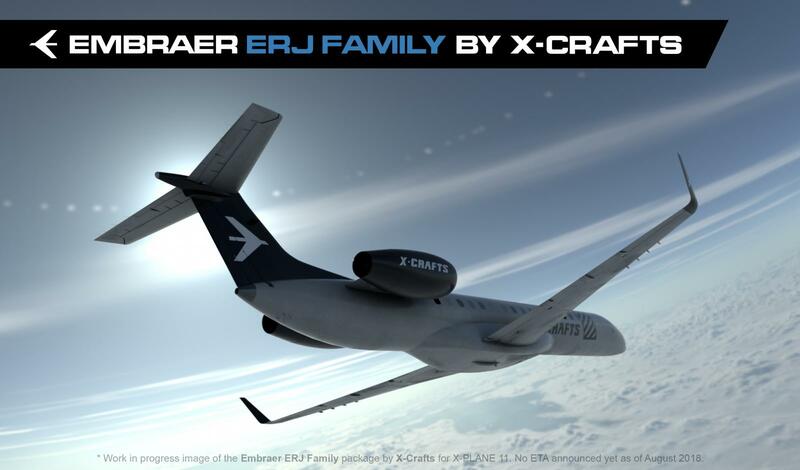 The 3D model and texturing would surpass the existing E-Jets the developer touts, pushing "these X-Plane add-ons to the next level"
At the moment, there is no ETA on the product's release, and logically so; the current previews are early renders of the 3D Model. 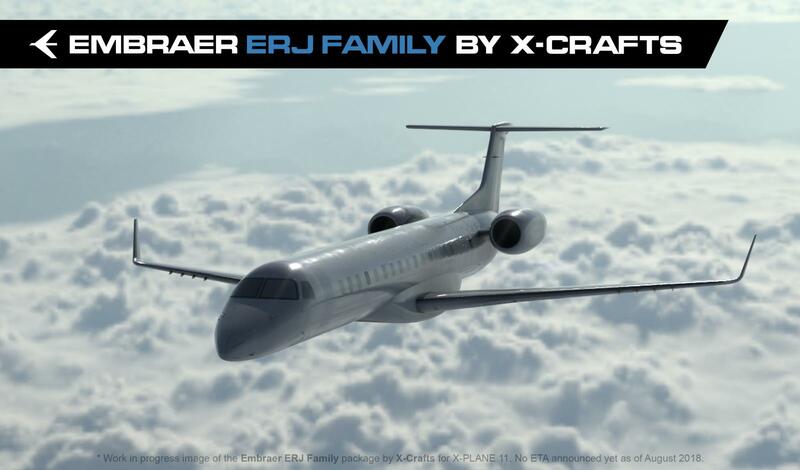 Nonetheless, this will be an interesting showdown, as Dan Klaue of Carenado has an ERJ 140 in the works for X-Plane 11 compatibility.